HEXA Plus Series is The Best Alternative in highquality and value-priced power supplies for your home and office use. Long lasting 120mm fan provides superior cooling with minimal noise. Built with quality components and dual +12V outputs, HEXA Plus Series ensures stability and reliability for your system. Building on a budget doesn’t mean you have to risk your choice to unknown brand. FSP, with years of experience in manufacturing and knowledge of PSU technology, we provide you the best solution for your home and office. The reliable, efficient and affordable line of HEXA Plus Series is ideal for mainstream and basic system configurations. The eco-friendly design allows HEXA Plus Series to reach more than 80% efficiency, which actually exceeds the 80PLUS standard requirements at 230V/50Hz input. HEXA Plus Series also protects your PC by providing complete protection (OCP, OVP and SCP). 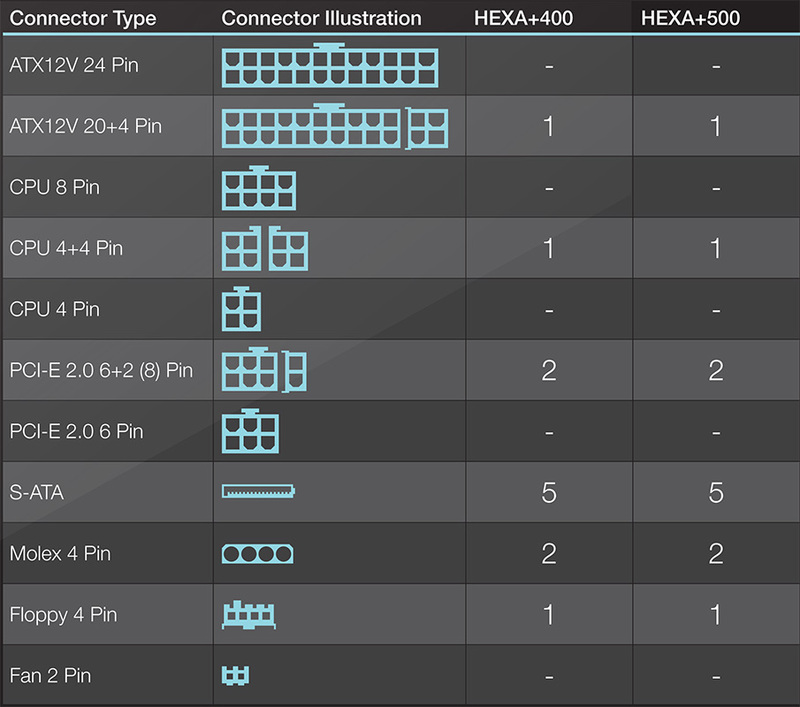 HEXA Plus Series does the job efficiently and reliably, making it a stable power supply unit built to satisfy the demands on users looking for entry-level power or the budget minded system builder.